Football Headquarters is a SCAM football tipster page. They promise 'Revolutionary Soccer Predictions That Beat Any Sportsbook'. They indeed are revolutionary... For them, not for you! But first things first. Number 1 In Sports Investment! 197 USD for 365 days! Football Headquarters is one of those services where there are promises over promises on their website. It starts with the slogan 'Revolutionary Soccer Predictions That Beat Any Sportsbook'. Then you see the slogan 'Number 1 In Sports Investment'. Wow, we never saw this slogan before. Then there is this banner: A football player shooting a ball so hard that it catches fire, a shining treasure chest in front of it, and last but not least, the all known thumb-up. And if that is not enough, there is this ridiculous red graph, nearly a straight line. These are all indications for you to be very careful. 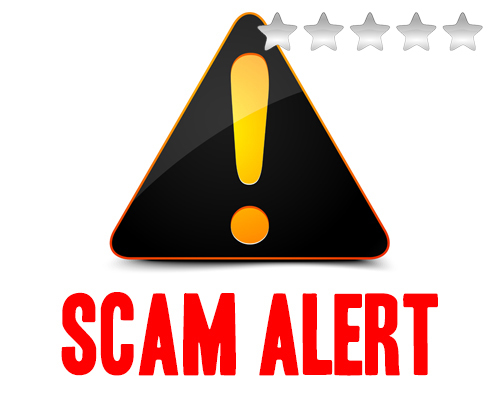 Because it is a fact that scam services try to attract peoples' attention with those 'positive' and 'exciting' elements. If you want to look at their results, then you have to subscribe to their newsletter. If they are so proud of their results, why don't they publish them directly on their website? Well, we wanted to find out if they are really a scam service, so we subscribed. First thing to mention is this ridiculous subscription fee of 197 USD!!! for 365 days. There is no other option, you have to subscribe for a whole year, and have to pay 197 USD. Clearly an indicator to stay away. And what we already were almost a 100 % sure about, was confirmed when comparing the tips they sent us and the results they posted. They were completely different. They deleted losing tips out of their results, and added winning tips they never sent us. It would be hard to top that comment for audacity. Really, this is almost criminal. Nothing more to say about them at this point. Unfortunately there are tons of scam services out there, and Football Headquarters are one of the big players. AVOID THEM IN ALL CIRCUMSTANCES!! - Fortunately you know what to do: STAY AWAY!!! BIG SCAM!! !